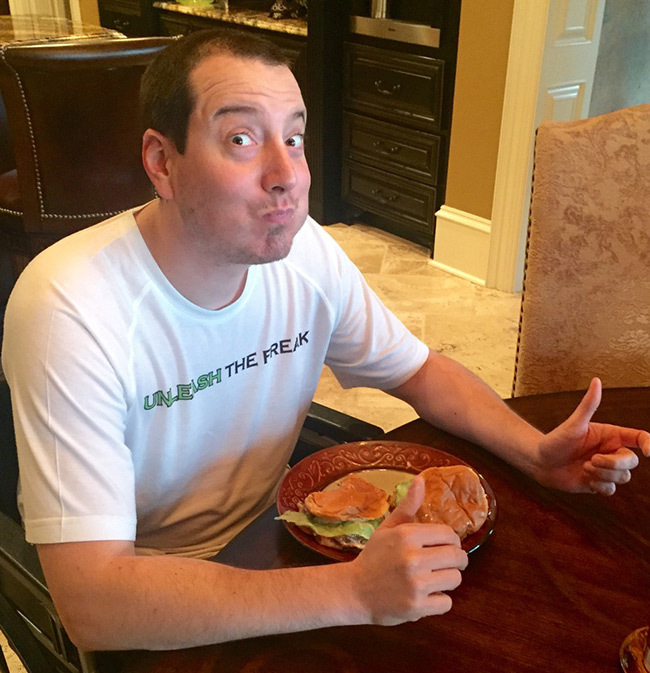 Growing up on the West Coast, Kyle had two favorites: Weinerschnitzel and In-N-Out! Every time we go back there for racing, the first stop (the second we land) is at one of these two places. Aside from being really bummed about not racing the West Coast, I knew he would be missing his fast food fix so I decided to try to bring In-N-Out to him! 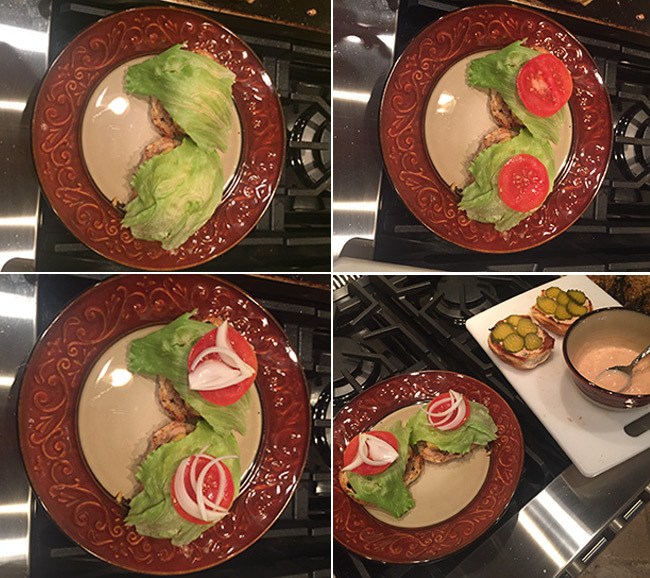 I searched for many different recipes and many were very similar so I put a few of them together and gave it a whirl! Finely chop onions and place on a griddle top with a little bit of vegetable oil, I turned these on medium heat when I threw the hamburgers on. Make sure you watch them and toss them around so they don’t burn. Also, preheat the griddle top to 400 degrees and put some vegetable oil on it. Form the ground chuck into patties. 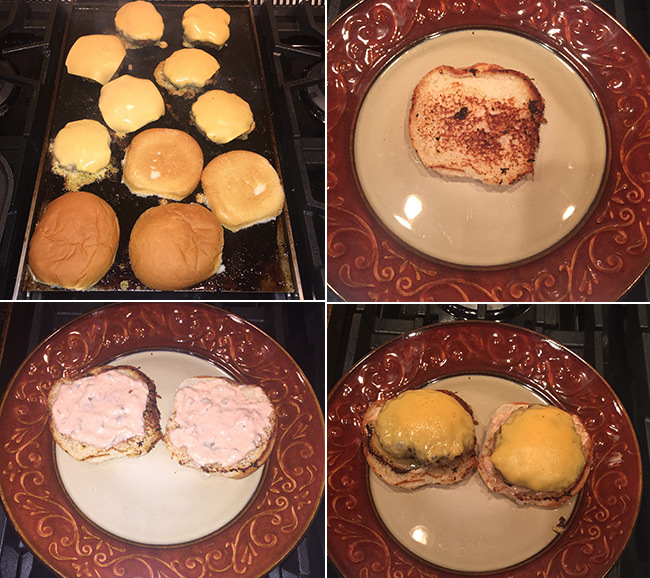 With two pounds of hamburger meat, I made seven patties that would be about the size of a “Double Double” at In-N-Out (not a single). I also placed them on the cutting board that the onions were on to get the flavor of it. I put a little bit of salt and pepper on each side. 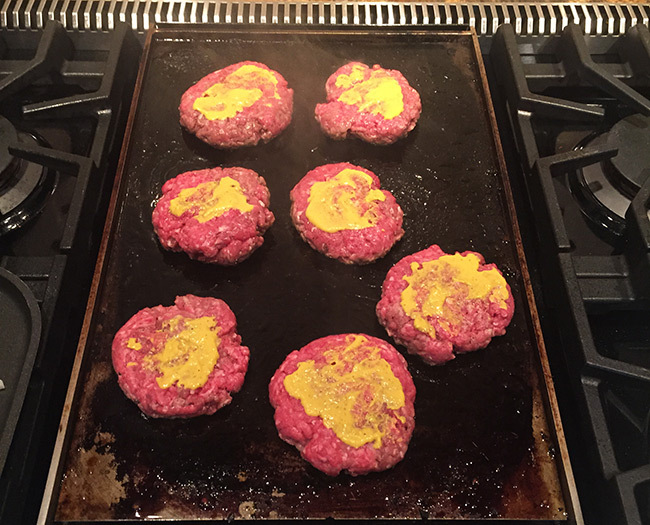 Toss the hamburger patties on the hot griddle and on the side that is up put a little mustard on it. I let each side cook for about 6 minutes and placed mustard on the other side after I flipped it. 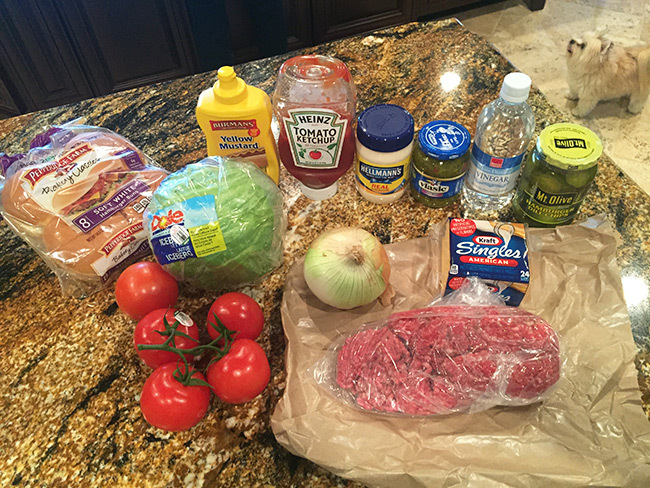 While the hamburgers and onions are cooking, you will make the “secret” sauce. All you have to do is mix the mayo, ketchup, sweet pickle relish and white vinegar together. Slice your tomatoes into thick slices and tear off big pieces of lettuce. 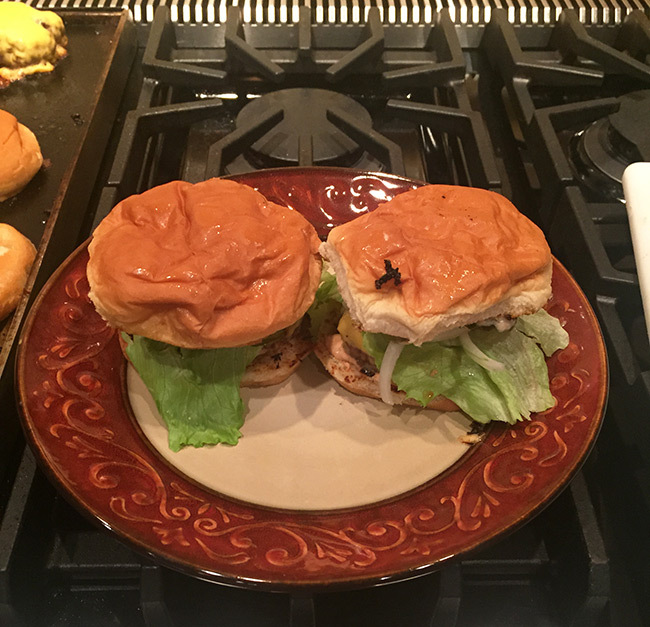 With five minutes left in the burger cook time, place the buns on the griddle to toast and with two to three minutes left, top each patty with a slice of cheese.